~Featured Post 「Moritaka Chisato」 | モーニングBerryz48…the morning after….. "Always wear protection before reading…(^q^)." ← Beauty and the Beast is brought to life!! So today’s a very special day! 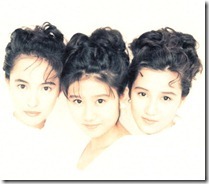 And particularly if you love J-Pop♥…. =)! It took a “wee” bit longer than I had originally anticipated to complete this now first of the final three or four “artist” posts I intend to do before parting from this blog and for the most part it was the song translations which took a bit longer as you never want to sound too literal when doing these for fear of sounding like a robot had done them ^^*. And while I’d completed these particular posts much quicker in the past, they remain a labor of love as I just want to be sure to present as much as I had envisioned with each artist when I first begin writing these, and so the extra necessary time taken is most warranted for the sake of my own “sanity” lol =). Today’s artist post is a very special one as not only do I hold all the music herein most dearly, as this artist/musician/songwriter/performer is also one of the earliest whom captured my mind, ears and heart so entirely that I strived to own her entire music catalog. 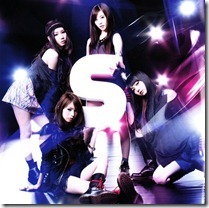 And this going back to my earliest of days of discovering J-Pop…. oh wait! I’m getting a bit ahead of myself and so let’s return to my early days of J-music discovery when I was barely a teenager back then cleaning classrooms after school for $ and…. 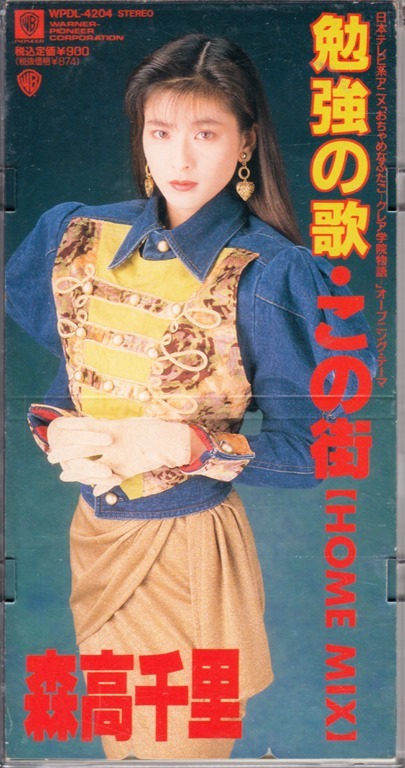 It was during my early teens when I purchased my very first Moritaka Chisato album titled “Do The Best” as I had been out shopping with some friends after school and as the fates would have it, this particular album cover had caught my eye on the shelf that day…. I mean it was housed inside of this extremely thick package which would turn out to be my first 1st pressing which included a nice full-color photo booklet! And in clear hindsight how I do miss being able to freely browse the shelves of an actual physically existing record store. From then I began ordering her entire catalog and purchased whatever was still in print initially. For the rest of her catalog I went through mail ordering from a wonderfully stocked used record in Japan and completed at long last completed her music collection comprised of 21 (original) albums and 40 singles (whew!). I also upgraded and bought 10 of her concert/MV DVDs…. 9 of which I also own on VHS, YUP that VHS you most likely can only view in museums these days. It sure got a bit expensive on the visual collection end of things, however initially owning those VHS tapes was an absolute must as those titles weren’t released onto DVD till much much later. 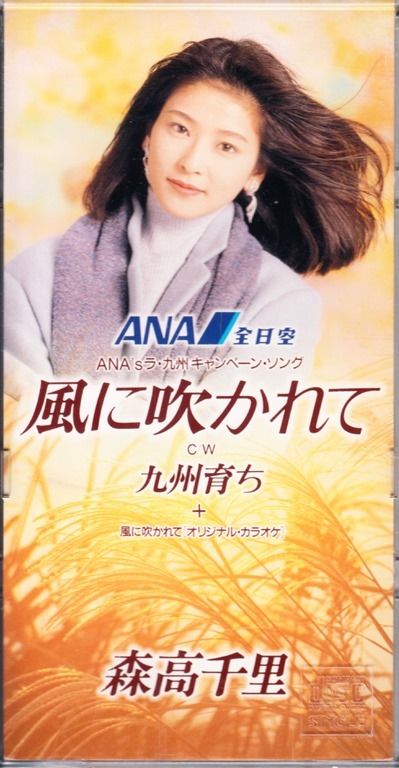 Moritaka Chisato began her career in modeling and as a CM girl and while an idol path may have seemed likely, this musical story of epic success took a much different path, one much less traveled back then. 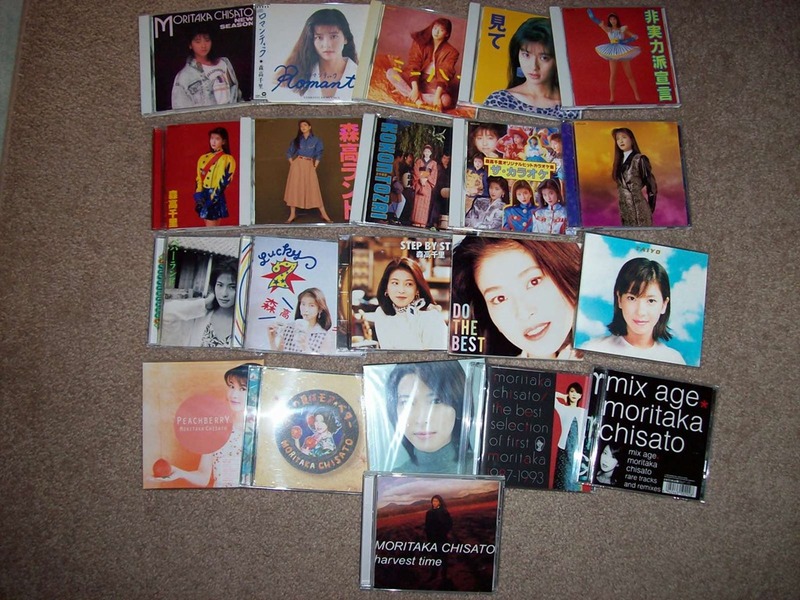 Moritaka Chisato’s music remains as one of my most beloved of catalogs in all of J-music and hers was one of the very first I managed to complete back during my early J-Pop exploration days. While both an accomplished musician and song writer, Moritaka Chisato’s deeply rooted legacy perhaps lay within her abilities as a lyricist as her natural knack for writing began at a very early stage of her career. 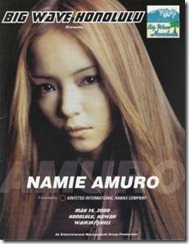 And whereas a vast majority of artists in those days heavily relied on the songwriting skills of others, such was not the case with Moritaka Chisato, whom made it a point to bridge that gap between artist and writer and really by this very means managed to bring to light and the very top of the music world the self empowering all-around female musician movement. 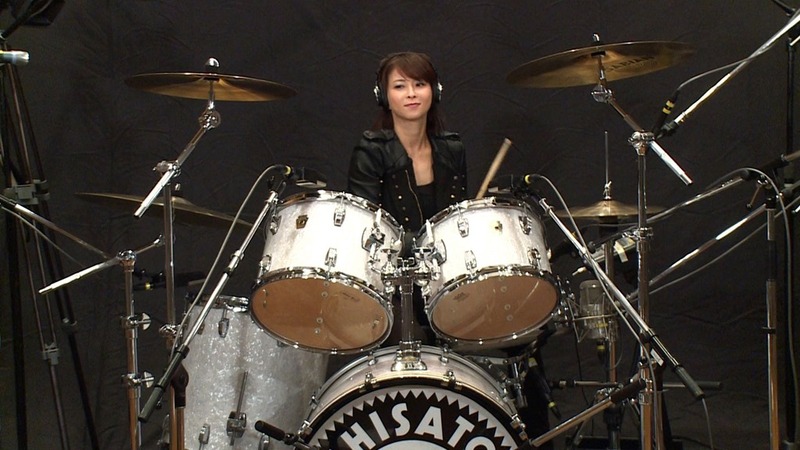 Also most notable are the instruments of her craft as in addition to primarily the piano (keyboards), guitar and the occasional recorder, by far Moritaka Chisato’s most eye opening excellence is on none other than the drums!! 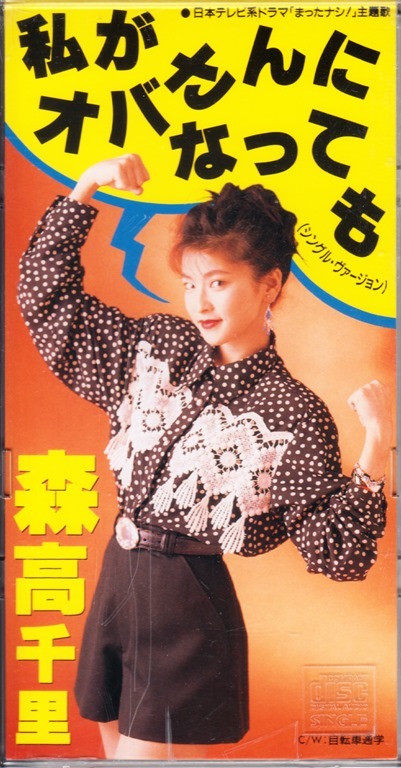 Now debuting back in the late 80’s (her single “Get Smile/ “Good-Bye Season” was released in 1988) it was pretty inevitable for her music to begin in the depths of synth-pop where the drums rather recalled those days of the home Casio and such, however from there Moritaka Chisato gradually began to forge her own unique style and sound which often digs into her heavily favored influences of classic rock and YES! The Beatles~♥ (Yup she even has an album titled “Pepperland” =)). However that’s not to say that these are the exclusive musical fingerprints she’s left us, as Moritaka’s deep~deep catalog of music is one of those rarified full-circle catalogs as her tastes and outreaching for the seemingly endless genres forged both in the past as well as into the collective modernized then current and ever branching out future have never proved as a boundary in even the slightest of sense….. as hers has been an ever evolving genre of styles as Moritaka Chisato was never one to feel boxed in musically. Add in her pure joy of performance and the stage and Moritaka Chisato the live artist always brought such energy and her songs to life! Her voice is also easily one of the most recognizable in all of music, believe me when I say it’s VERY VERY unique. And that all brings us to today. 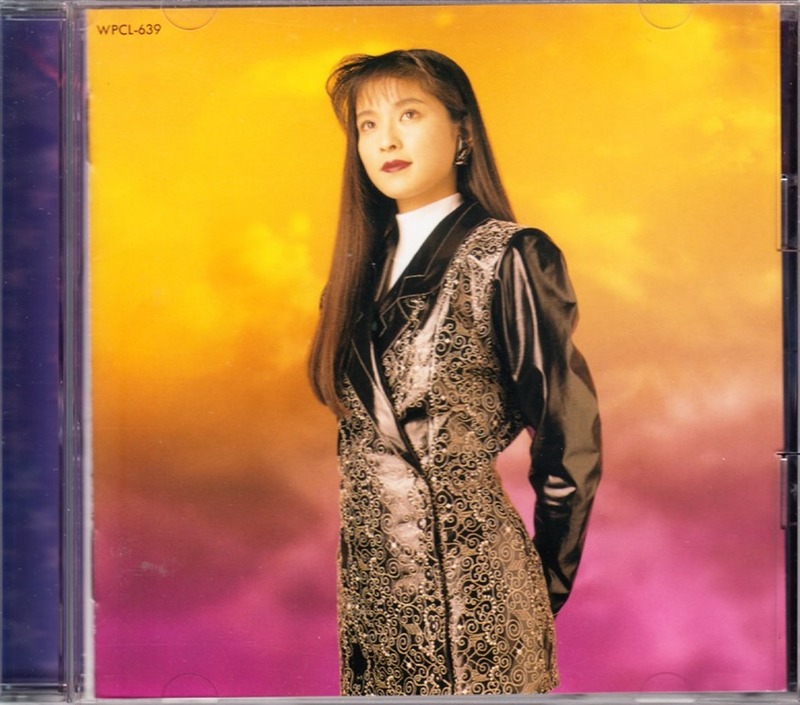 Now while Moritaka Chisato’s earliest of songs and image began somewhat in an ido~ly aura of ways (that which she rather quickly grew out of), both the sign of the technological times and then current instrumentation of the late 80’s, has without question left her early catalog with a rather dated sound and feel to them. Again it’s only an aspect of her earliest of releases as her sound and styles truly adapted throughout the 90’s and beyond…. but still what would a musician’s musician and a songwriter’s songwriter do after all of these years gone by? YES you’re looking at it just above and below! 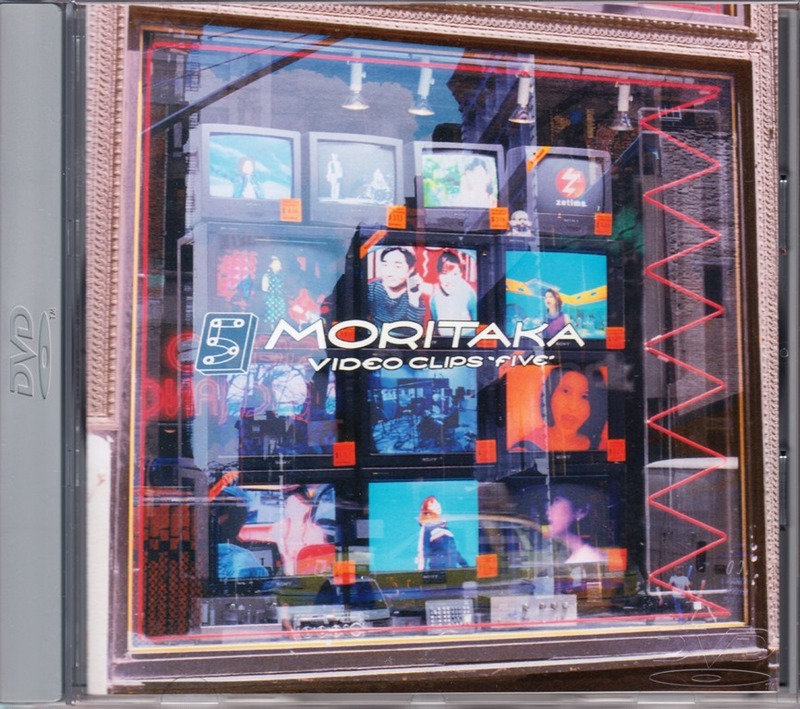 One of the happiest series of releases I’ve been graced by as Moritaka Chisato has gone back and self-covered a VERY notable amount of her most beloved songs from over the years and it’s not just the early stuff as with each growing volume (now up to 9!~!) we’re treated and made witness to just how these many a varied songs which maps out her career of transcending musical time itself through her evolving styles and genres as an all encompassing artist, can then be reimagined, re-arranged, re-produced and even given an all new instrumentation identity whether it be by the means of technology or simply a newly inspired~*~~* interpretation altogether. So here I’ll be doing something a bit different compared to how I’ve presented my ARTIST posts here in the past, as I’ll be counting down my top favorites in order and with each song I’ll be including both Moritaka Chisato’s original versions along with her newly done self-cover versions (where available) so that direct comparisons can be made as you make your way through my countdown. I must say though, that her original versions are surely the way to go at first ^^. So really ignore the self-cover (“Love”) versions for your initial listening/watching. Each “LOVE” volume includes two CDs plus two DVDs giving fans easy access to updating their mp3 players as well as a simply shot video for each and every song, and really the videos are an extra bonus as the CD tracks are the main attraction here… still I’ll be including these simple videos just because videos are a good thing aren’t they =). Originally released as a single on February 19th, 1996. Easily one of the best musical arrangements here which is deeply inspired by The Beatles, however it’s done with a real sense of subtleness at times and at times not so subtle as in the violin intro…. as there’s also a heavy underlying jazziness happening with both the piano and acoustic bass arrangements working in precise harmonies. Also note that crunchy nostalgic quality of the guitars which add such a wonderful contrast and there high above it all are very “Paul McCartney” violins with Moritaka Chisato’s voice soaring atop it all. And be sure to have your favorite headphones handy for this entire post as the richness and creativeness of the productions herein will otherwise not be completely revealed and appreciated~. And as a friendly reminder, be sure to check out the original versions before exploring any of these “LOVE self cover versions =). 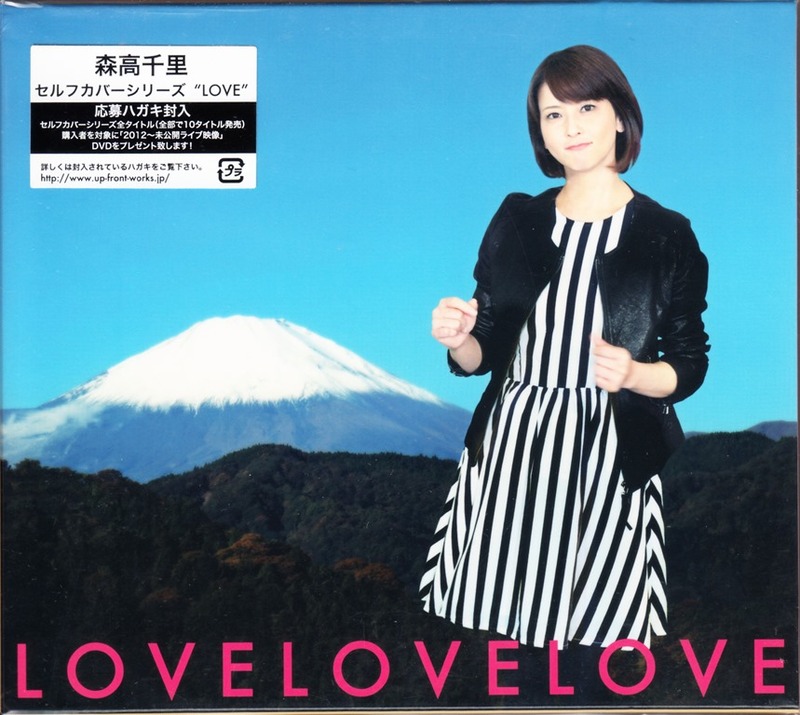 Also I’ve included the video clips of these “LOVE” versions instead of their mp3’s just to have a visual here as these clips are as simple as they come, not meant to be the focal point of Moritaka Chisato’s re-exploring of these songs, but rather just an added bonus if you will~. Originally released as a single on June 11th, 1997. A lovely mid-tempo melody tour de force!! 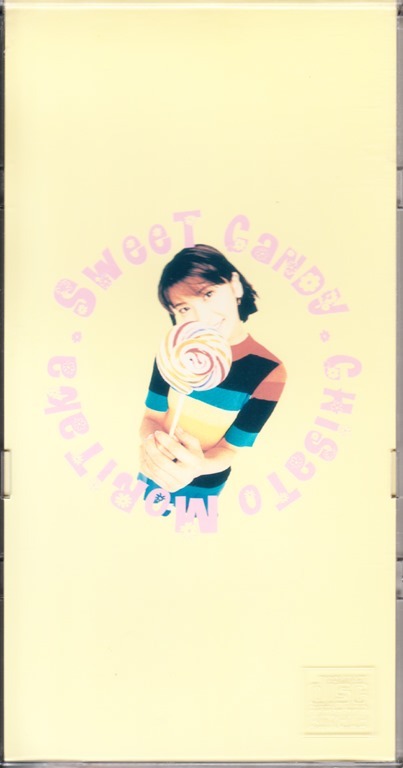 “Sweet Candy” utilizes a synth x bass duo for its driving melodies and do note the very cool retro synths which appear at times featuring a Roland sort of “chorus” effect?…. as well as those quick~sweet up strokes of guitar strings (panned hard right) which give the flavorful contrast of exotic jazz chords…. middle solo a bit reminiscent of one Wes Montgomery? 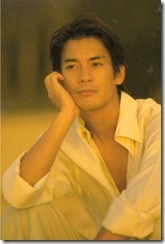 =) Still it all fairs to Moritaka-san’s lovely vocals which recall a most memorable of melodies~. Originally released as a single on October 10th, 1995. Originally released as a single on November 19th, 1997. A Christmas time♥ beauty of a ballad! However it’s not your typical arrangement as pop meets with a deeply jazz driven acoustic bass which cradles the song as it should, in fact I’d go as far as saying that the acoustic bass is the star of this arrangement. Piano and acoustic guitars drive the mid rhythm beautifully and of additional note is the tone and recording style of the mid guitar solo is a sound which I’ve heard on some Steely Dan albums in the past, really cool! Finish with the soothing nuances and notes of Moritaka-san’s voice and here you have a perfect and non traditional Christmas song♥~. Originally released as a single on October 10th, 1994. Okay I just had to include the lyrics to “Suteki na tanjoubi” as they’re soooooo amusingly cute!! Take the loving but not too skilled culinary ways of a girlfriend who’s dedicated to creating a most wonderful birthday memory for her guy, add in a bit of self inflicted mishaps and wallah! =) Now Moritaka-san never backed away from exploring the many genres of music out there and here it’s good ‘ol country/folk! However it’s more like J-country and the vocal melody is so so adorable and when you listen to her lyrics that goes up two-fold! Gosh I so love the guitar’s tone and that distinct style of muted notes to go along with a folk song gone giddy! Ashita wa iyiyo kare no tanjoubi. Teryouri wo tsukurou. Heya no souji wo shite kaimono. Nani wo tsukuru kana? Kare no koubutsu makaroni-guratan. Konya wa renshuu shite okanakya. Tomorrow is his birthday. I’ll cook for him myself. I cleaned my room and went shopping. What shall I cook for him? One of his favorites is macaroni gratin. I’ve got to rehearse tonight. Hajimete tsukuru guratan chanto dekiru kana? Biiru wo katate ni motte makaroni wo yudete miyou. It’s my first time cooking gratin. I wonder how it will taste. I’m trying to boil macaroni with a glass of beer in hand. Chotto dake watashi akai kao de tamanegi wo itameru. Nare nai tetsuki demo nandaka totemo tanoshii na. Ikenai. Watashi yotta kashira Sukoshi nemuku natta. Narenai teryouri wa yappari umaku ikanai na. Next I must fry sliced onions. My face has turned slightly flushed Curiously, cooking is very pleasant though I’m inexperienced at it. Oh no! I’ve gotten drunk and sleepy. Macaroni gratin is too difficult for me as I expected, ‘cause I’m inexperienced in cooking. Kinou wa ano mama tsuine chatta wa. Nantoka naru deshou. Kitto daijoubu yo. Makasete. Leaving the macaroni and onion in the kitchen, I went to bed last night. No problem. All right, don’t worry. Sukoshi okurete kita kare onaka suita sou. Sugu ni shokuji ni shiyou ne. Omedetou, otanjoubi. You were a little late for the appointment. You look hungry. “Happy Birthday to you!” Let’s have dinner right now. Chotto dake are wa senobi wo shite suutsu de kimeteru wa. Nantonaku niawa nai kedo kyou wa homete okuyo. “Sou kana?” to kare wa tereta kao de ureshi souni warau. Sorosoro dekita kana? Watashi no jiman no guratan. Wearing a new suit, you look more grownup than you are. It doesn’t suit you, without knowing why but I praise it today. “Is it true?” You looked shy and smiled happily. It’s time that my honorable gratin is ready. Chotto dake kore wa kogesugi da ne. Gomen, gaman shite ne. 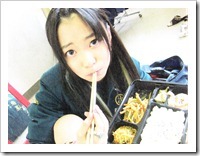 Yappari shippai ne. Ichiyaduke ja muri mo nai ka. Iwayuru kore ga watashi nari no aijou kometa ryouri. Kitto oishii hazu, anata no daisuki na guratan. Originally released July 25th, 1994 as track ten on the “Step By Step” album. Both arrangements of “Ichido asobi ni kiteyo” are perfect!! Ever fall in love with a song whose melody also furthers the nostalgic yearning of its lyrics? Both verse and chorus sections breathe a sweetly melancholy air about them and dare I say that I may be leaning just a tinny bit towards Moritaka-san’s “LOVE self cover” version? =) This song’s very core will tug at your heartstrings I promise~! Originally released on July 10th, 1991 as the tenth track of “The Moritaka” album. 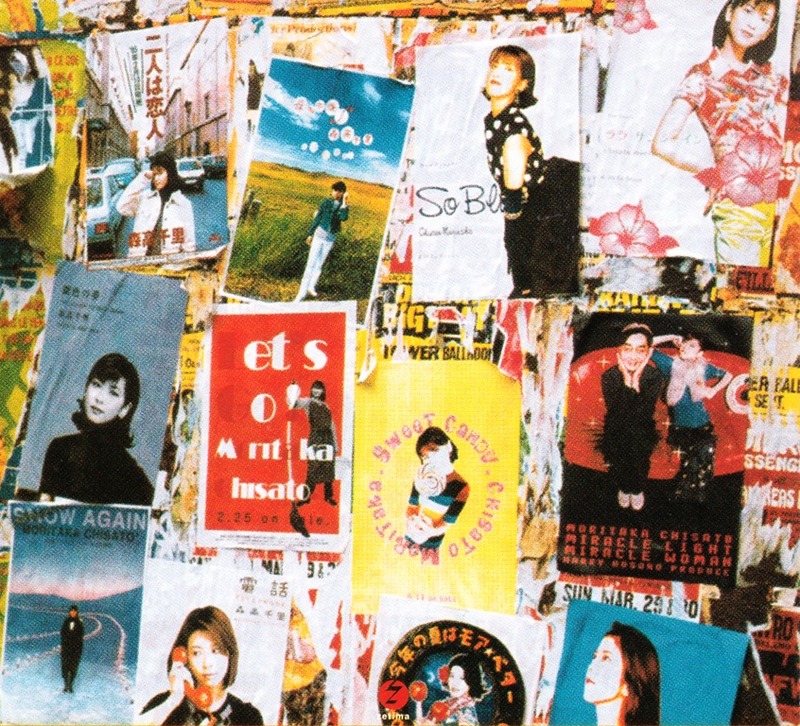 Now going all the way back to ‘91, “Seishun” is one of Moritaka-san’s earlier gems and you’ll recognize that it’s totally done in that classic golden age J-Pop style, you know that familiar era which AkiP has single handedly brought back to fruition in today’s music. Key are those chiming notes, late eighties keyboard tones and of course those wonderful melody hooks which are reminiscent of the time. Still one of my favorite song choruses, simple and yet so memorable~. Originally released May 10th, 1993 as the final track of the “Lucky 7” album. 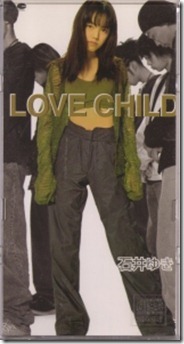 Simply one of Moritaka Chisato’s most beloved of songs and one of her finest vocal performances. “Memories” is really also the perfect song in which to fully appreciate her vocals and their full uniqueness which encompass range, strength, nuance and of course her vocal tone which is unmistakable and one of a kind. Here too you can totally feel the significance of “Memories” as the crowd reactions speak for themselves throughout~. Originally released on September 10th, 1990. 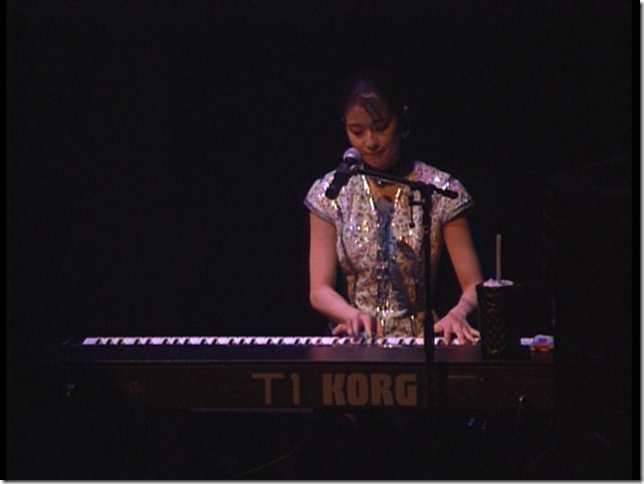 And even with all that I’ve just said about “Memories”, here “Ame” is Moritaka Chisato’s iconic melody and song. 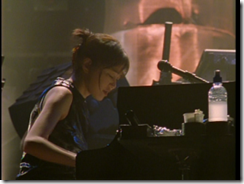 Sometimes performed with her on keyboards or drums…. 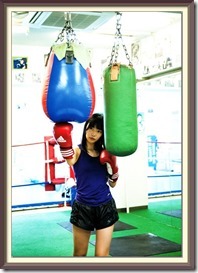 Moritaka-san always brought the energy to her concerts on the level which the elite do. And whether on piano, keyboards, drums, guitar, recorder or the occasional accordian… she always entertained with her musicianship to go along with her vastly deep catalog of lyrics~. “Ame” is musically & lyrically beautiful and melancholy all at once and as you follow along with her lyrics just below…. Moritaka-san’s tone becomes even that much more profound. Hitotsu hitotsu kiete yuku, ame no naka. Mitsumeru tabi ni kanashiku naru. Kasa mo sasazu futari damatteiru wa. Sayounara, watashi no koi. Pleasant memories are disappearing one after one into the rain. As often as our eyes meet, I feel more and more sorrowful. We are in silence without an umbrella. Good-bye my love. Omoikiri naite tsuyoku dakaretai keredo. Ima no watashi wa tooi sugiru, anata ga. I want to cry as bitterly as I can, and I wish you to hold me tight. But I feel as if you were far away from me. Ame wa tsumetai kedo nureteitai no, anata no nukumori wo nagasu kara. Ame wa tsumetai kedo nureteitai no, omoide mo namida mo nagasu kara. The rain is cold, but I’ll be drenched in it, ‘cause it washes your warmth away from me. The rain is cold, but I’ll be drenched in it, ‘cause it washes pleasant memories and my tears. Sotto anata watashi no te wo hikiyose saigo no kotoba sagashiteru no? Dakedo watashi naitari nanka shinai. Namida wa ame no sei yo. You drew my hand near yourself. Are you looking for a good expression of farewell? I’ll never cry. The drops on my cheeks are raindrops. Omoikiri naite anata ni dakaretai kedo nanimo iranai. Kono mama soba ni ite. I hope to cry on your chest. I want nothing but to stay with you. Omoikiri naite tsuyoku dakaretai keredo ima no watashi wa toosugiru, anata ga.
Ame wa tsumetai kedo nureteitai no, anata no nukumori wo nagasu kara. The rain is cold, but I’ll be drenched in it, ‘cause it washes your warmth away from me. Originally released on May 10th, 1994. Ah there’s a tiny bit of an ad before the music video begins above =P which I wasn’t able to edit out. “Natsu no hi” is another one of those vocal highlights with Moritaka-san’s falsetto making a bit of an appearance =) and lyrically it’s quite poetic. “Natsu no hi” swings like a sweet lullaby, one of those simple mid-tempo ones which have a means of staying with you long after the song’s ended~. Mijikai natsu ga toori sugiteku shizukana hamabe. Gogo no hizashi ga nami ni yurete kira kira mabushii. Oyogi tsukarete nemuru anata no yasashii yokogao. Kono mama zutto kono hamabe ni futari de itai na. The short summer is coming to an end on the calm beach. The afternoon sunshine reflects on the waves and are twinkling. Tired with swimming, you are sleeping with a calm profile. I want to be with you on this beach for a long time as we are. Hoho naderu shiokaze, oki wo hashiru renrakusen. Chiisana shiawase wo ima wa kamishimetai. Nombiri nami ga yosete wa kaesu shizukana natsu no hi. The sea breeze touches my cheeks. A ferryboat sails off the shore. Now I’ll taste this tiny happiness. The waves surge back and forth calmly on the peaceful summer day. Hitoribotchi de sugosu natsu ni wa narete wa ita kedo. Tsurakutenaita yoru mo atta, chiisana madobe de. Though I was used to spending a summer alone, I’ve wept at lonely nights by a little window. Anata wo shitte kawatta watashi, natsuzora no you. Kono mama sotto ano namida wa kokoro ni shimaou. I’ve got cheerful like the summer sky since I’ve become acquainted with you. I’ll stealthily put those tears in my heart as they are. Miwataseba higurete tooku kasumu shima no akari. Futari no shiawase wo inoru ichiban boshi. Looking out over the sea, I can see dim lights on a far island in the twilight. I pray for our happiness to the first star. Umi wa yuunagi, natsu no owari no shizukana yuugure. With an evening calm, it’s getting dark peacefully at the end of this summer. Hoho naderu shiokaze, oki wo hashiru renrakusen. Chiisana shiawase wo ima wa kamishimeteru. Nonbiri nami ga yosete wa kaesu shizukana natsu no hi. The breeze touches my cheeks. A ferryboat sails off the shore. Now I taste this tiny happiness. The waves surge back and forth calmly on the peaceful summer day. 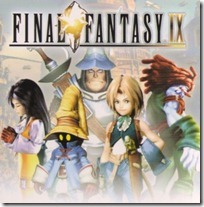 Originally released on January 31st, 1994. First! diggin’ that distinct Roger McGuinn guitar tone! 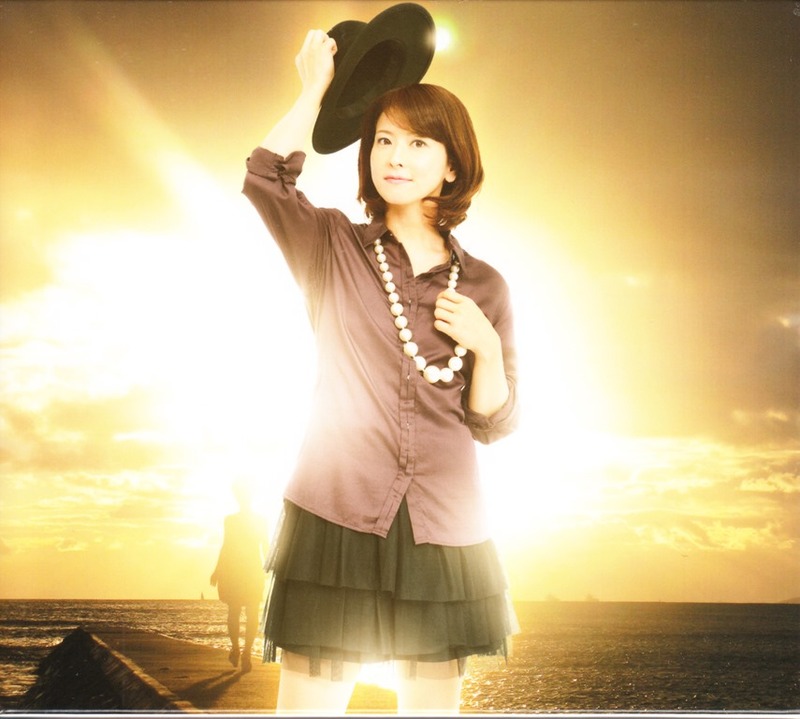 “Kibun soukai” is possibly the most widely and readily known Moritaka Chisato song of them all. I mean you can see countless times where an entire arena will move to Moritaka-san’s iconic arm gestures she does during live performances… it’s during the chorus where she’s mimicking a swaying kanpai~toast =). And what I also love about this song in addition of course to its very catchy chorus, is how layered underneath this pop song is a total musical celebration of the 60’s…. and did you catch those final notes which are a total nod to The Beatles~! YUP ^^. Yatta ne, Omedetou. Iyoiyo aitsu to deeto ka. Mattaku yaru wa ne, watashi no shiranai uchi ni. Futari shite kare ni akogareteta kara tsurai kedo OK biiru kanpai. It’s great! Congratulations! It’s tomorrow that you’ll have the first date with him! You’re so smart. I’ve not been aware of your love of him. The news shocked me, ‘cause both of us gave our hearts to him. OK Bottoms up with a glass of beer! Nomou. 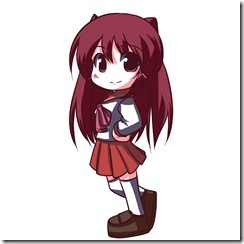 Kyou wa tokoton moriagarou. Kikasete yo, kare to no deai enryose zu. Nomou. Kyou wa tokoton tsukiau wa yo. Watashi mo sa sukidattan dakara. Let’s drink. Lets’ have a drinking spree tonight. Tell me frankly how you met him first. Let’s drink, I’ll accompany you however late it is. You know, I love him too. Masaka anata ga kare wo itomeru nante sa. Maita na. Watashi wa shoujiki choppiri shokku. I couldn’t expect you’d win his heart. I’m embarrassed. To be honest, the news gave me a shock. Jinsei da wa. Kore mo meguriai na no ne. Arigarou, chanto hanashite kurete. It’s my life. 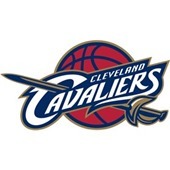 It’s my destiny. Thank you for your frankness. Ashita ashita deeto da ne, gambatte. Kouen ya umi wo doraibu yakeru wa ne. Ashita ashita watashi wa nani shiyou. Watashi no bun tanoshin dekite yo. Tomorrow, tomorrow you’ll have a date with him. Do your best. He’ll drive his car to a park and along the seaside with you. I really envy you. Tomorrow, tomorrow what shall I do? Get my share of the pleasure. Dekiru nara konya kaeri takunai na. Nakimushina watashi hayaku koi shiyou. If possible, I’m not going home. I’m a crybaby, so I must find a new love quick. Nomou. Kyou wa tokoton moriagarou. Dakedo mada kare no jiman wa ato ni shite. Nomou. Kyou wa tokoton tsukiau wa yo. Ima watashi kibun soukai da yo. Let’s drink, let’s have a drinking spree tonight. But don’t be proud of him now. Let’s drink. I’ll accompany you however late it is. Now I feel really fine. Ashita ashita deeto da ne, gambatte. Te wo tsunagi hora kata yosete. Kono yarou. Ashita ashita watashi wa daijoubuda yo. Fushigi da ne, kibun soukai da yo. Originally released as a single on June 25th, 1992. Okay first I must explain that gigantic fly-man whose on stage for just a sec or two at the very beginning as the previous song is “Hae-Otoko”… you know fly-man and he was a fun prop they had on stage for that song =). And at 12 seconds “Watashi ga obasan ni nattemo” begins!!!! Also a pretty early single in her catalog this one had legs as it became an anthem of sorts whenever she performed it live and while it’s pure pop~bliss in its makeup…. don’t be fooled as this song lyrically was very much inspired by YES The Beatles!! “When I’m 64?” I’m sure you know this “Sgt. Pepper’s” classic. 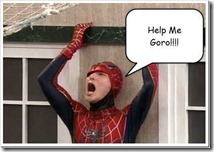 It’s a really fun poke at the age thingy going on in Japan…. no wait! I mean it’s probably going on everywhere on planet earth isn’t it ^^*. In any case her lyrics are cute and so here they are just below so you can follow along =). Aki ga owareba fuyu ga kuru. Honto hayai wa. Natsuyasumi ni wa futari shite Saipan e itta wa. Hiyake shita hada mada kuroi. Tanoshii omoide. Rainen mo mata Saipan e oyogi ni ikitai wa. When Autumn is over, Winter comes. Time flies. I went to Saipan with you on a summer vacation. My suntan is still dark. Pleasant memories! I hope you take me to Saipan again for swimming next year. Anata wa yasashii hito ne. Watashi wo dakiyosete, zutto kono mama iyou to kisu wo shita. Watashi ga obasan ni nattemo oyogi ni tsuretekuno? Hadena mizugi wa totemo muri yo. Wakai ko ni wa makeru wa. Watashi ga obasan ni nattemo honto ni kawaranai? Totemo shinpaida wa, anata ga. Wakai ko ga sukida kara. If I’m over thirty, will you take me to go swimming? A colorful swimming suit won’t suit me. It suits a young girl. If I’m over thirty, won’t you change your mind? I’m really worried about you, because you like young girls. 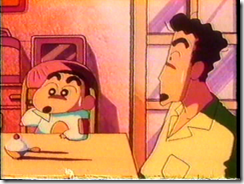 Sonna hanashi wa bakageteru. Anata wa iu kedo onna zakari wa jyuuku da to anata ga itta no yo. Dakedo nani kuwa nu kao de watashi wo mitsumete, are wa joudan datta to kiss wo shita. Watashi ga obasan ni nattemo disuko ni tsureteku no? Minisukaato wa totemo muri yo. Wakai ko ni wa makeru wa. Watashi ga obasan ni nattemo doraibu shite kureru? Oopunkaa no yane hazushite kakko yoku hashitte yo. If I’m over thirty, will you take me out dancing? A mini skirt won’t suit me. It suits a young girl. If I’m over thirty, will you take me for a drive? Please drive your convertible nicely, with its top folded. Watashi ga obasan ni nattara anata wa ojisan yo. Kakkoii koto bakari ittemo onaka ga de te kuru no yo. Watashi ga obasan ni nattemo honto ni kawaranai? Totemo shinpai wa, anata ga. Wakai ko ga sukida kara. When I’m over thirty, you will be over thirty five. However young you try to talk, you’ll be getting a potbelly. If I’m over thirty, won’t you change your mind? I’m really worried about you, because you like young girls. Originally released as a single on February 25th, 1992. 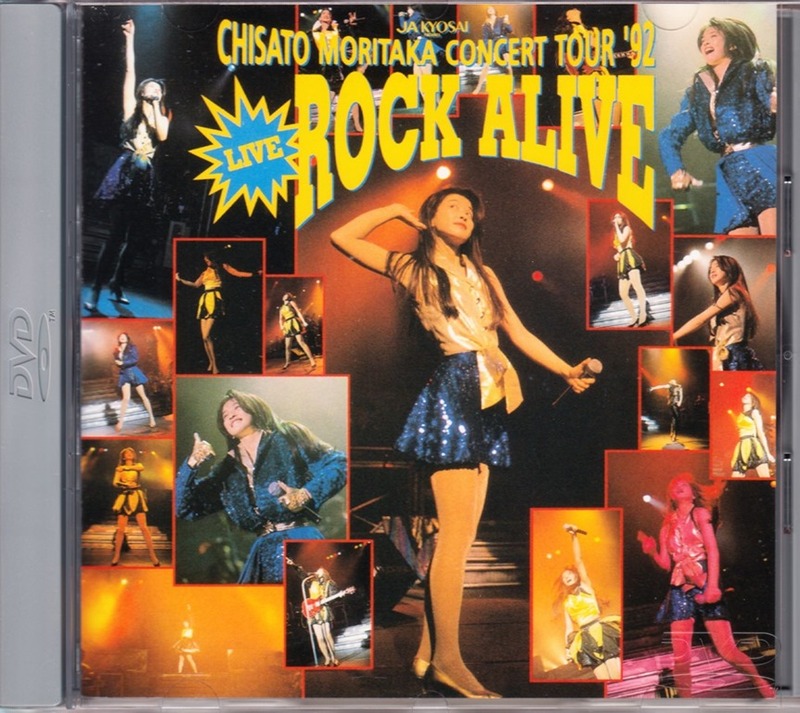 Ohh the ‘92 Rock Alive concert and Ms.Moritaka-san’s locks are at their magnificently rockin’ length!~! I so loved the look she had back then, I mean she’s been gorgeous throughout her illustrious career but how could one not envy that hair =P! Now “Concert no yoru” is how you open up a concert!! Has a sort of Bon Jovi style happening…. and how I LOVED Bon Jovi (both the group and the man!) so this one’s an easy allure. Originally released on the album “Rock Alive”, on March 25th, 1992. This performance is also from the ‘92 concert and it’s one of Moritaka-san’s much more intense rockers as she was in no way shy from the genre! The amped up verse to pre-chorus to chorus transitions are simply inspired and even with all of its heaviness there’s so much melody nuances to speak of not to mention one awesome chorus. A most favorite live performance here!! =). 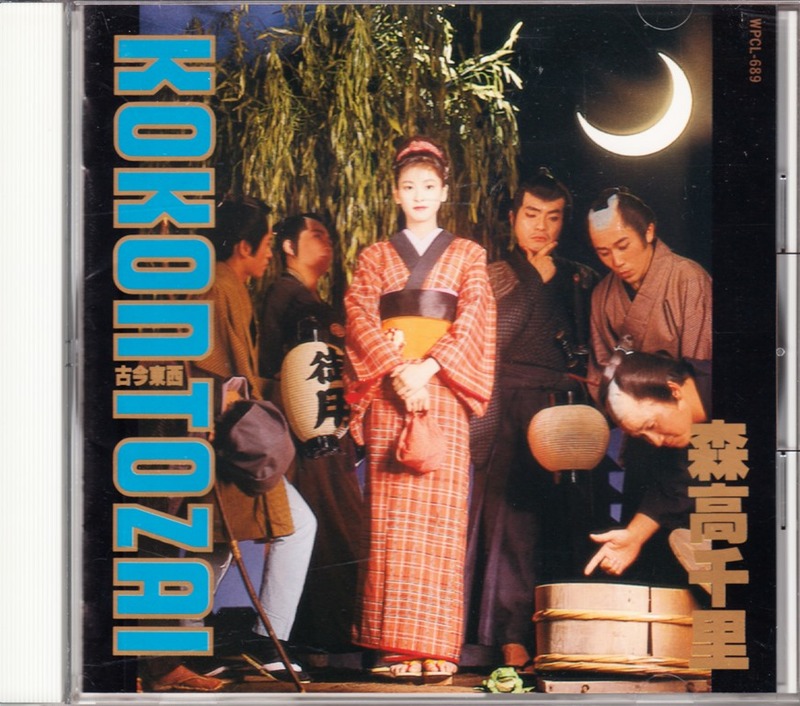 Originally released as the b-side to “Benkyo no uta” on February 10th, 1991. Single originally released on April 10th, 1993. “Watashi no natsu”’s music video always makes me giddy with its retro production and styling =). And likewise this song is fully juiced up on happiness that by the time you reach Moritaka-san’s “Ki-Me-Ta…” you’ll be fully hooked!~! And even with a composition of pure pop~euphoria, Moritaka-san still managed to add an ingredient of the subtle and unexpected as at the 2:56 middle break you can hear underneath it all the sounds of violins in musical waves… yet another nod to The Beatles and in case you may be thinking that they’re just isolated violins just then…. knowing Moritaka-san’s love and inspiration from The Beatles, it becomes a simple truth~. Dokoka e ikitai na, kotoshi mo. konaida kare to wa wakareta kedo. Kounarya tomodachi wo sasotte. iji demo kyuuka wo mankitsushi te yarou. I’m going somewhere this year too. Yes, I parted from him the other day, but I’ll ask her to go with me. Anyway I’ll enjoy my vacation as much as possible. Ima anoko mo kare ga inai kara. Kotoshi wa futari de nakayoku dekake you. She doesn’t have her sweetheart now. This year I’ll go with her, just friends together. All right! I’ll lie down all day long, looking at the beautiful sea. I’ll remain under the sun without any charms. Kono sai oshare wa mushishite. Hoteru to shokuji de zeitaku shi you. Futaride omoikiri rizooto. Asa kara ban made biichi de sugosou. This time I’ll pay no attention to my dress and spend much money for the hotel and food. We’ll fully enjoy our vacation in a summer resort, playing on the beach from morning till night. Wazurawashii koibito doushi yori. Kirakuna tomodachi, kigane wa iranai. I couldn’t help feeling constraint in his presence. I’ll be able to make myself home with her. Kimeta. Okinawa no umi ni shiyou. Ichiban ochitsuke souda ne. Kyoudo ryouri wa watashi kuwashii kara makasete iteyo. All right! We are going to a resort in Okinawa. It seems so comfortable. Entrust the plan to me, I’m familiar with the local food. Kireina umi wo mi nagara oishii mono wo tabe you. Tsumetai dorinku, shiroi sangoshou, nonbirishi tai. Let’s have nice dishes, looking at the beautiful sea. I want to be free from all cares with a cold drink on the white sandy beach. Kireina umi wo mi nagara sutekina deai ga areba mou iu koto nai wa. Ikenai, yokeina ki wo okoshi sou. If a nice guy speaks to me while I’m looking at the beautiful sea, that will be excellent! No! It’s none of my business. Single originally released on October 11th, 1993. A bitter sweet song of symbolism, loss and longing…. “Kaze ni fukarete” may seem like a common acoustic ballad and yet when you experience its lyrical meaning coupled with Moritaka-san’s vocal delivery it’s so so much more. Everything about the musical arrangement speaks to an uneasiness of emotions where if you listen closely the melodies at times play in contrast to one another as both a deep sense of regret is nuanced along with the feelings of a far away optimism~. Tooi tokoro e ikitai, dokoka tooi tokoro e. Ano sora no kanata e ikitai na. Namae mo shirania machi to namae mo shiranai hito. Ano sora no kanata no dokoka made itte mitai na. I want to go far away. I want to go to somewhere far away. I want to go to a town where I’ve never been and see many strangers.I want to go somewhere beyond those mountains. Kinou no yoru wa gomen nasai. Wakareru koto ga tsurakute nai temo nai temo namida tomaranakatta. Kinou no yoru wa anata no koto yurusenakatta watashi wa honto ni honto ni ima wa wasuretai dake. Dokoka tooi tokoro e ikitai na. I’m sorry to have wept heavily last night. Saying good-bye to you made me so sad that I couldn’t stop my tears, however heavily I had wept. It was impossible for me to forgive you last night. Now I wish I could forget you. I want to go somewhere far away. Kendou zoi ni naranda chiisana onsen-yado. Chikaku ni wa ogawa ga nagareteru. Oishii kuuki wo sutte aoi sora miagereba Aa sukoshi genki ni nareru kana itte mitai na. Small inns stand along a prefectural road. A stream is running beside them. I’ll get refreshed, if I take fresh air and look up at the sky. I want to go to such a rural spa. Tooi machi nara anata no koto omoide ni dekisouda wa. Yukata wo haotte ehagaki kakou, anata ni. Tooi machi nara tsurai koi mo kaze ga hakonde kure sou. Yukkuri yukkuri sora ni kiete yuku deshou. Dokoka tooi tokoro e ikitai na. In a town far from here, I’ll manage to change the love with you into a memory. Wearing a light summer kimono, I’ll write a postcard to you. In a town far from here, the wind will take the painful love away from me. My pain will have gradually disappeared into the blue sky. I want to go somewhere far away. Kinou no yoru wa anata no koto yurusenakatta watashi wa hontoni hontoni ima wa wasuretai dake. Dokoka tooi tokoro e ikitai na. It was impossible for me to forgive you last night. Now I wish I could forget you! I want to go somewhere far away. Single originally released on October 25th, 1991. 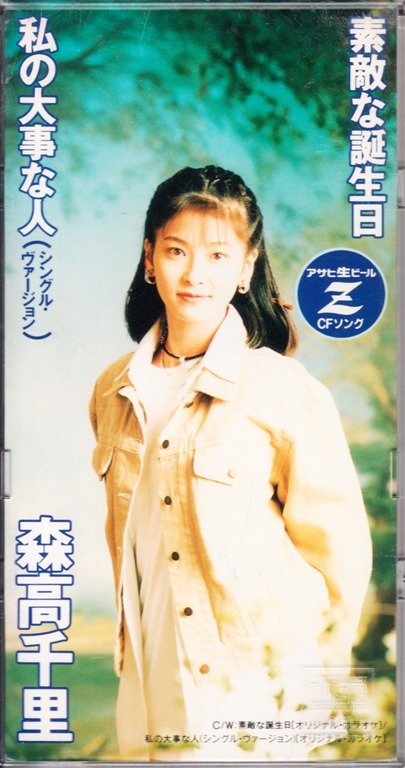 “Futari wa koibito” was released on February 10th, 1995 as a single. 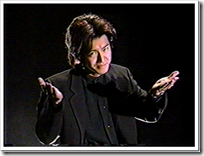 Despite its retro-appearance, this music video was produced in the latter days of Moritaka Chisato’s career…. but really this song is everything I could wish for in a song on any given day~♥. It’s a tongue in cheek love/fight song which makes its lyrics yummy, has that joyous bouncy piano and bass arrangement, engulfs you in the biggest melodic hooks a song can offer and its chorus gives me that walkin’ on sunshine kind of feeling!! And did you notice panned hard right that raw sounding guitar doing riffs and towards the ending of the song it’s even a bit “offbeat.” just an amazingly catchy song for the ages and I’ll never grow tired of it like ever ^^. Saikin anata yasashikunai wa.Watashi no koto mou akita no. Deeto wo shite temo kikubari ga nai yo. Nanimo kamo jibunkatte no peesu. Deatta koro no anata wa itsumo sutekidatta, yasashikute. Sore ga ima wa dou sokkenai taido. Konnani mo kawatte shimau nante. You haven’t been gentle to me recently. Are you tired of me? You don’t take care of me when on a date with me. You do everything as you like. You were always excellent, so gentle with me when I first met you. I didn’t expect you to change so drastically. Nakinagara watashi ga suneru to awateta kao shite kyuuni yasashiku naru ne. Shaku da kedo itsumo no sono te ni gomakasarete tsui yurushi te shimau no. When I am in the sulks and begin to weep, you look embarrassed and suddenly get gentle. To my anger, I always forgive you in spite of myself, deceived with your usual ways. “Hansai shiteru.” Kuchisaki bakkari. Sono kotoba wa kiki akita. Anata shidai na no, futari no naka wa. Uso janakya sono shouko wo misete yo. “I reflect on what I’ve done.” You are all talk. I’ve gotten tired of hearing the words. Our love depends on you. If your words are true, show me evidence in deed. Omoikiri fukigenni naru to komatta kao shite sugu ni joudan wo iu. Iikagen watashi wa honki de okotte iru kara nani shitemo mudada yo. When I am in the worst temper, you look bewildered and instantly joke. I’ve got furious with you, so you cannot calm me, however you may try. “Honto gomenne.” to majimena kao shite hoho ni kisu shite kureta. Shaku da kedo yappari anata ga suki dakara kyou mo yurushite shimau no. “I’m really sorry.” You seriously kissed my cheek. To my anger, I forgive you today too, ‘cause I love you. 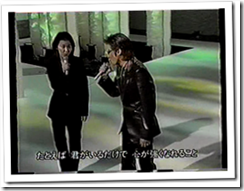 “Watarasebashi” was released on January 25th, 1993 as a single. And we’ve reached my #1 all-time favorite Moritaka Chisato song! It’s the loveliest of songs that I’ve ever heard and years ago when I first heard it I just knew this one was different… special. There’s a wealth of heart and emotions within this song like no other, in its sincerity and depth the lyrics are so unguarded and honest… it just makes your heart break. 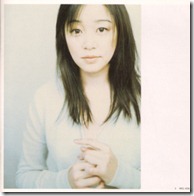 One of if not the finest melody in all of Moritaka Chisato’s vast catalog of music, “Watarasebashi”… forever my#1~. And if you’re a Hello! Project fan you most likely know of Matsuura Aya recording an amazing version of this very song “Watarasebashi” (Gotou Maki too!) …. 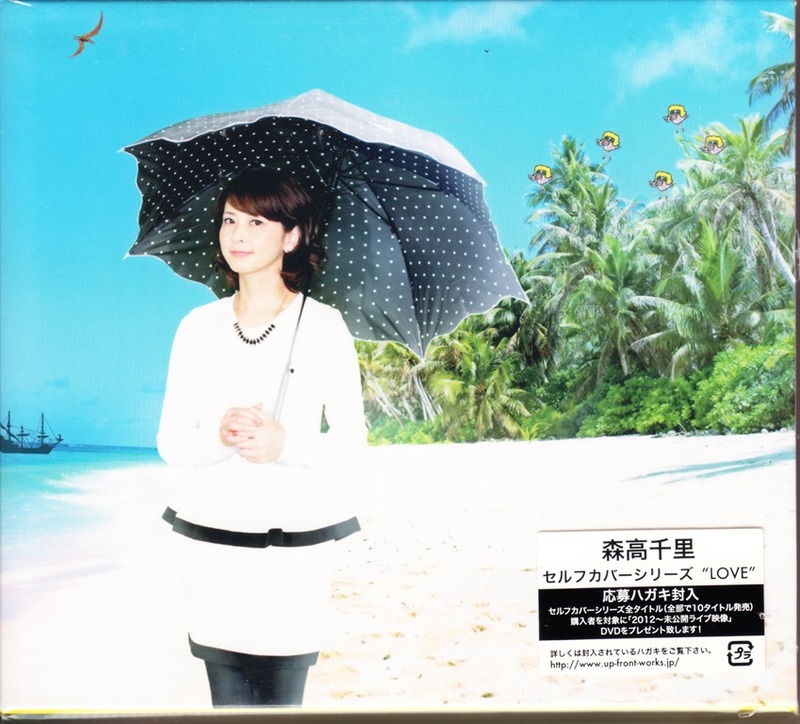 also the likes of C-ute have also released Moritaka Chisato cover songs with “Kono machi” being a great cover and Mini Moni had a couple of Moritaka-san cover song releases as did the wonderful Nacchi too =). Watarasebashi de miru yuuhi wo anata wa totemo sukidatta wa. kireina toko de sodatta ne. Koko ni sumitai to itta. You loved to watch the setting sun from Watarasebashi Bridge. Densha ni yurare kono machi made anata wa ai ni kite kureta wa. Watashi wa ima mo ano koro wo wasurerarezu ikitemasu. You would come to this town aboard a train to see me. I live with the memories of those days in my heart. Ima demo Yakumo jinja e omairi suru to anata no koto inoru wa. Whenever I go to the Yakumo shrine, I still pray for you. If one of my dreams came true, I should go back to those days. Tokoya no kado ni potsun to aru koushuu denwa oboete masuka? Kinou omowazu kaketakute nando mo juwaki totta no. Do you remember the public telephone standing at the corner of the barber’s? Konaida watarasegawa no kawara ni orite zutto nagare miteta wa. Kitakaze ga totemo tsumetakute kaze wo hiichaimashita. The other day I went down to the shore of the Watarase River and watched the water running down for a long time. The north wind was so sharp that I caught a cold. Nandomo nayan da wa. Dakedo watashi koko wo hanarete kurasu koto dekinai. Neither of us is responsible for our parting. I knew that you could not live in such a rural town. Many times I thought over whether I should accompany you or not. But I cannot live in a big city, leaving here. Hiroi sora to tooku no yama yama. Futari de aruita machi. You said you loved this town. Night has been coming. The sky is getting dark, and I can only see the form of mountains over there. Night is falling in this town where I walked with you. This entry was posted in Favorite songs, Featured, J~Pop and tagged favorite moritaka chisato songs, featured, j-pop, moritaka chisato, moritaka chisato self cover album series love. Bookmark the permalink. 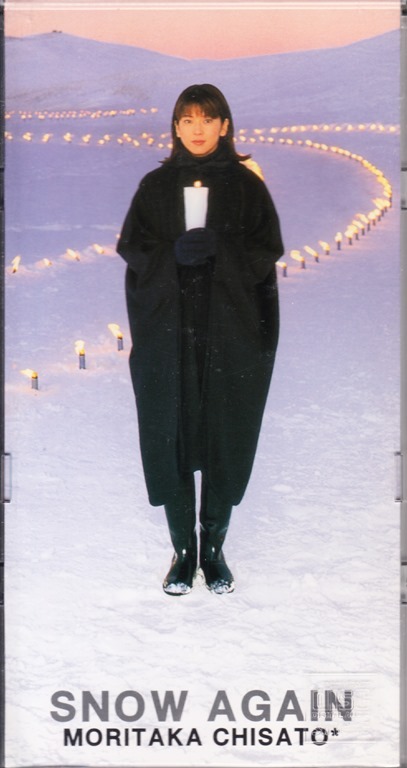 Guess why the “snow again” record cover with the moon background is my favorite. Mmm.. you enjoy Christmas songs? ‘Snow Again” is a lovely ballad or maybe you too love the sounds and feeling of an acoustic bass? It so makes this song not your typical holiday “pop” song ^^. 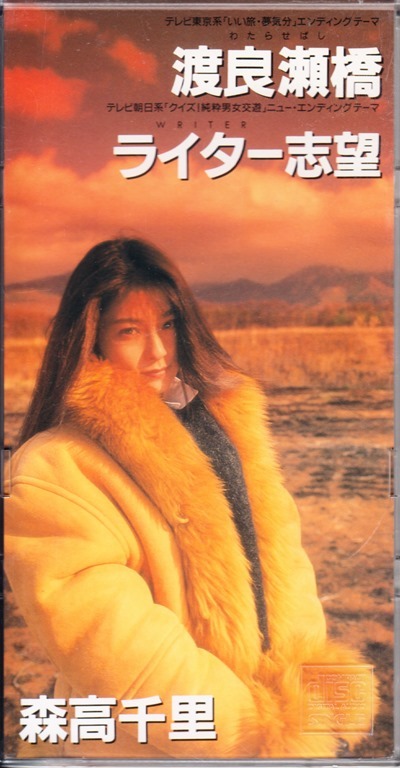 In any case, lots to experience here and since we have similar tastes and absolutely love late eighties to nineties pop, Moritaka Chisato’s music is sure to capture your heart and interest =). You always take the high road, dear lady. Each and every song are definitely worth the time and often times a second listen is when that connection occurs, so I hope you can enjoy many of her songs here as I’ve chosen my top 22. 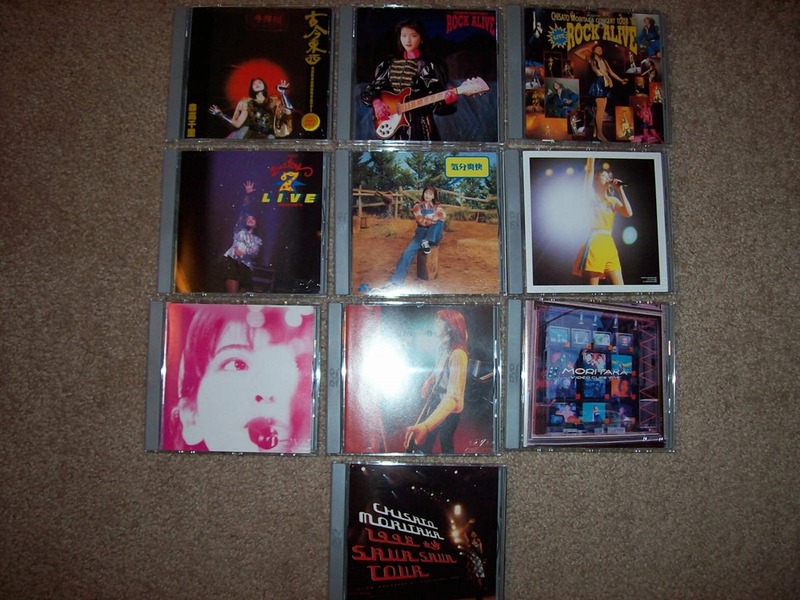 Still Moritaka Chisato’s music catalog is massive so there’s lots and lots more out there to discover ^^. This was briefly shown in one of the music videos above. So many great covers. Ah if you squint really close to the screen you can see that CD single on my singles collection photo =). Moritaka Chisato does have a bunch of these fun songs where even an omelet isn’t off limits =). Please let me know what you think of any of the featured songs here, lots to discuss and love for your ears and eyes!! I had a lot of fun at work today playing these. I just bought Best Selection of Moritaka 1987-93 for 6 bucks on Amazon. I’m still shopping. They have a lot on eBay, so many great covers. Ah I have that collection too! It’s a two disc set and from track 11 “Michi” to track 19 there’s a lot of great songs in there. The earlier songs may have a bit too 80’s style to them in the sense of the keyboards sound… of course I absolutely love the 80’s but at times they can sound a bit dated. I count 8 songs on these CDS which appear here right in this post of 22!! So a great buy! If you can find her “Do The Best” album it’s the next collection to get! And if you find its first pressing it comes with a cute photo book and outer slip case. 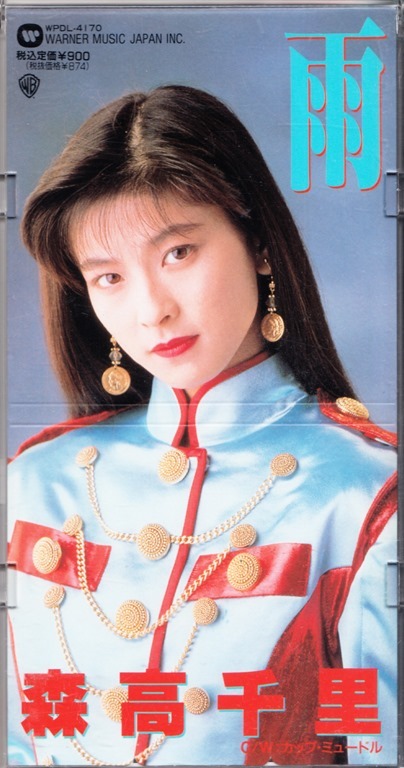 Oh and the reason for me getting the 1987-1993 collection, albeit redundant as I already own her complete discography is that I was always hoping for a remastered collection…. just so you don’t think me completely wacky =P. I have been listening to this for two weeks now. Again, it is something I missed, which I never knew exist (ed). More of the soundtrack to my parallel life, slipping, crossing over somewhere in the space-time. Now I have a face to imagine while listening to “Watarasebashi” in the Beetle. I like how she was cookin’ beans on the “HEE HAW” segment. I’ve become a big fan in the past few weeks, well, since you know (Denny clutches heart). I have listened to this song on my headphones/iPhone with my first cup of coffee for the past two weeks. What is it with the woman who does not show her face? … I watch this one a lot on the Nu-Step machine at the gym. She is AMAZING! … and I have been watching this a lot on the Nu-Step machine at the gym. She is AMAZING! Sorry about the double-comment that time, I though somehow the first one did not post. 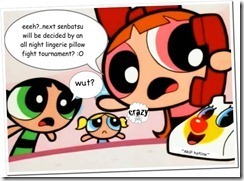 Regarding: “Kibun soukai”. I have watched this music video like the Zapruder film, trying to figure out that “mystery woman” who does not face the camera.